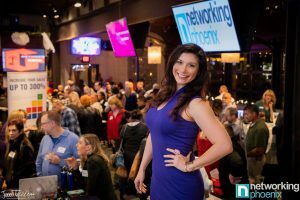 On this week’s Members Corner blog, we are welcoming the one who needs no introduction to the Phoenix local business community, but we do it anyway, Gelie Akhenblit of NetworkingPhoenix. We are proud to call Gelie a friend, a mentor, and amongst one of our earliest members who joined back in September of 2018. Please check out Gelie profile on Avontage, send her a welcoming message, and get on her radar to help grow your business. You don’t want to miss her biggest networking event of the year: The NetworkingPhoenix Signature Event is coming up on Thurs, March 28th. Click here for details. In addition to running NetworkingPhoenix, Gelie works with clients and companies on a consulting basis in helping them grow — her specialty is relationship marketing. She is who you engage with when you understand the value of that “one connection” that can change the trajectory of everything. As a seasoned presenter, Gelie has been on many stages and media platforms speaking on the importance of having a winning strategy when engaging in face-to-face networking and the power of building and maintaining strategic relationships. When she’s not working on conquering the world she’s spending time with her young daughter, working out and enjoying the guilty pleasure of lounging in bed. To get to know Gelie better, we asked her the following questions. Absolutely everything, well, minus the summer heat. Mainly, I love the people. I find that communities here are very welcoming and it’s been a lot of fun launching and growing my company here for the last 12 years. NetworkingPhoenix is the largest professional community of entrepreneurs, business owners, and various industry professionals. The mission and focus are to help others meet their goals by building impactful relationships — online and in person through mixers, business events, and local educational partners. With over 40K profiles created on the website, the membership keeps growing as professionals are drawn to the website because of the comprehensive calendar that lists the majority of the networking events in the Valley. We host our own networking events, as well as publicize all the networking opportunities happening throughout the Metro Phoenix area. Our Signature Event is the most popular and best-attended networking event in the Valley, bringing out over 500+ professionals. Our ideal client is an entrepreneur, business owner or professional who wants to build out his/her network. We make it super easy for them to discover networking opportunities and meet people face to face at events. Word of mouth has always been the best marketing strategy for us. When you provide the right value for your customers, they will sing your praises to everyone they meet. Being an entrepreneur is the most difficult thing I’ve ever chosen to do, but it’s been worth it every minute. I have very few trusted advisors that I keep close and they have guided me through some of my darkest moments. Surround yourself with people that “get it.” Everyone will want to share their unsolicited advice – ignore them. You’re the ONLY one that knows your vision, follow it. 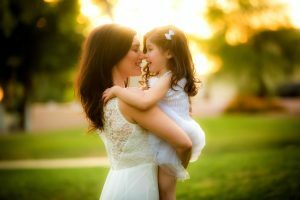 Some weeks are easier than other weeks and we all have different things to squeeze into our schedule, but in general, I don’t work when I’m with my daughter. This gives me a block of time to work during the day, but evenings are for her and me. Please check out Gelie’s profile on Avontage and also find out the details about the upcoming Signature Event on March 28th.